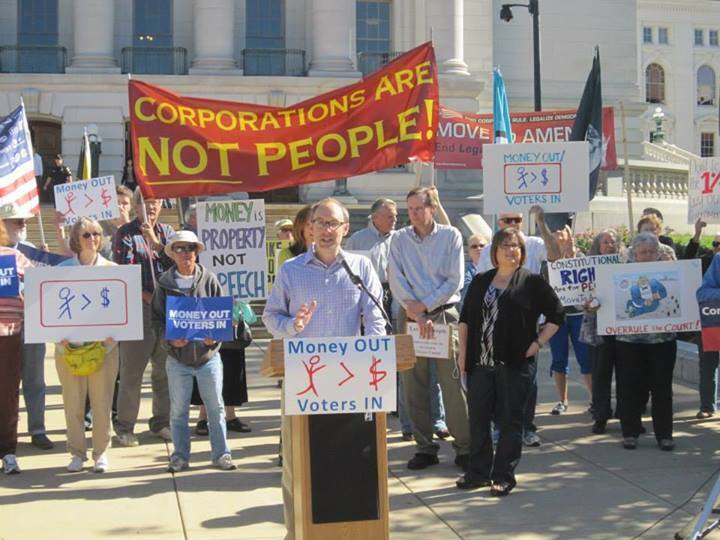 Madison, WI (March 21, 2018) – On Tuesday, April 3rd, Wisconsin residents in nine communities will vote on whether to amend the U.S. Constitution to clarify that only humans should have constitutional rights and that money is not the same as speech and political spending can be limited to allow all Americans to participate in the democratic process. Voters will cast ballots in Green and St. Croix counties, the cities of La Crosse, Marshfield, Sun Prairie, Rice Lake, the villages of McFarland and Wittenberg, and the town of Sand Creek in Dunn County. If all vote in favor, 129 Wisconsin communities will have called for the We The People amendment. Nationwide, 19 state legislatures have done likewise, as have more than 760 towns, villages, cities, and counties. 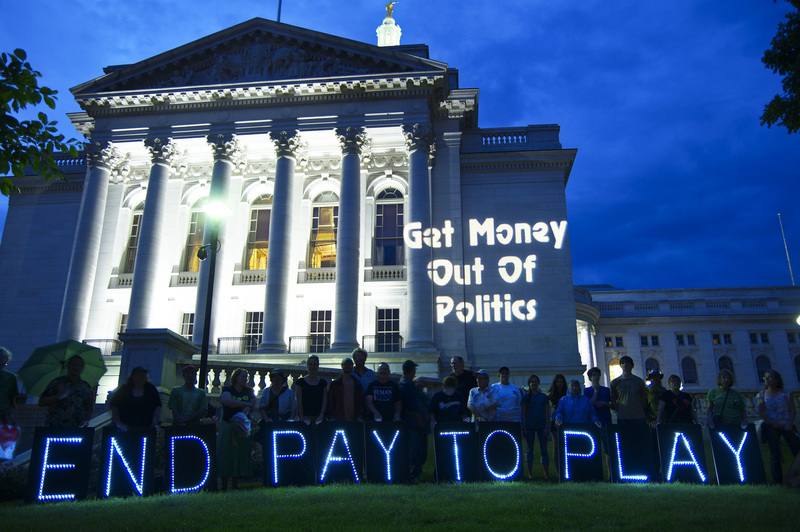 “We cannot solve any of the pressing issues in front of our country as long as our politicians do not represent us, and they won’t until we get the big money out of politics,” said New Richmond resident Jane Hansen. 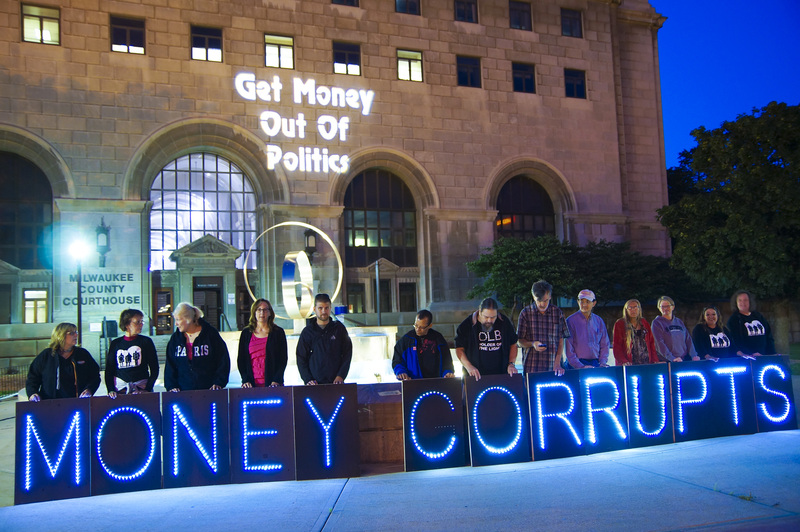 Multiple polls show over 90% of Americans, regardless of party, think special interest money has too much influence in American political campaigns. Background material can be obtained here: pdf1, pdf2 and pdf3. Link to this press release. Photos: photo1, photo2 and photo3. Senator Dale Schultz presentation, March 7, 2014 at the L.D. Fargo Public Library, Lake Mills, WI.